Sarah Bridgeman is a home grown South Wales talent, a like-able next door neighbour figure, with a bit of bite. She talks about her lodger Troy, her failure to get dates and her frustration over her inability to lose weight. She uses observational stories with whimsy perked up with her own special ukulele playing skills. ‘I laughed from the minute you got on stage to the minute you left, really funny’ – Minehead audience member. 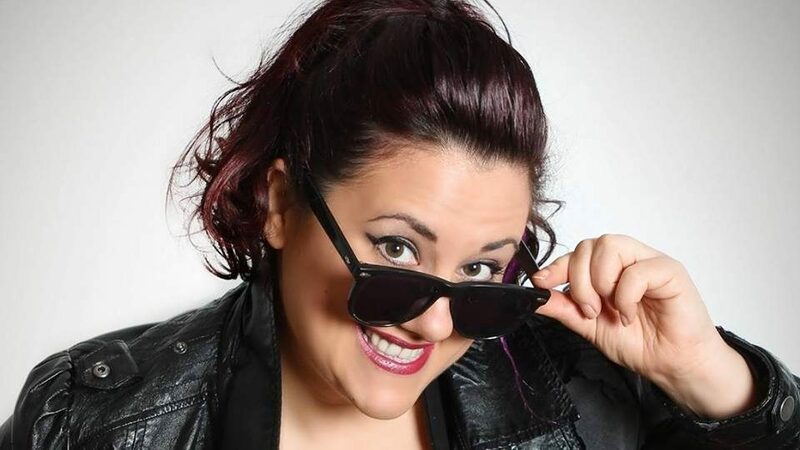 Sarah has been performing comedy all over the UK since 2009.She has performed at the Glee Club and regularly gigs for Mirth Control, one of the UK’s biggest booker of comedy acts. She has done well in various competitions and is a regular on Radio Wales as a funny news commentator and will soon be taking part in a quiz programme for TV company Made in Cardiff. She has a solid set, as well as being an excellent MC. "A good performer, she simply soared." "It's the warmth of her personality that endears her to the crowd and gets them in a fun sort of mood."